This page is here to help you as you embark on your creative journey with the tools and resources from Creative Highway. If you don't see something you need or still have some questions, please don't hesitate to contact us here. Thanks so much and godspeed! It’s no secret that Adobe Photoshop is an industry standard – even more so when combined with quality photoshop actions. 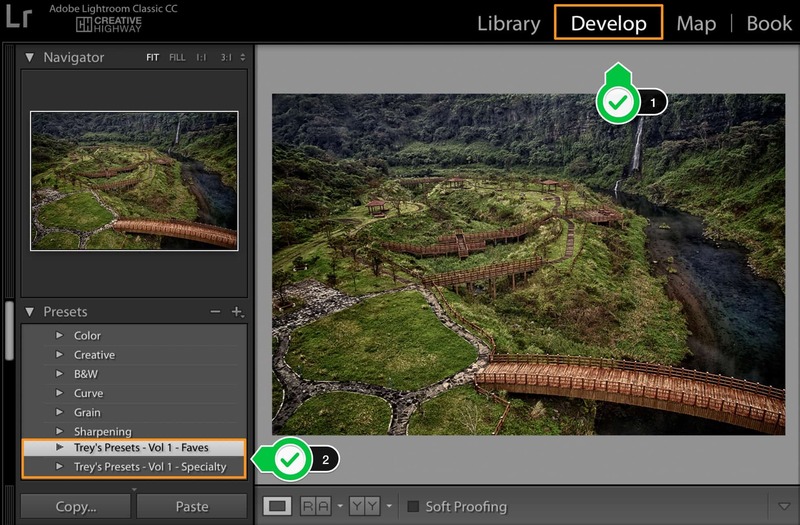 Photoshop Actions allow you to use editing skills of professionals quickly and easily. 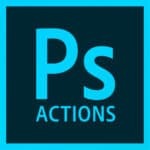 Downloading and installing Photoshop actions is very easy – this short guide will show you how. 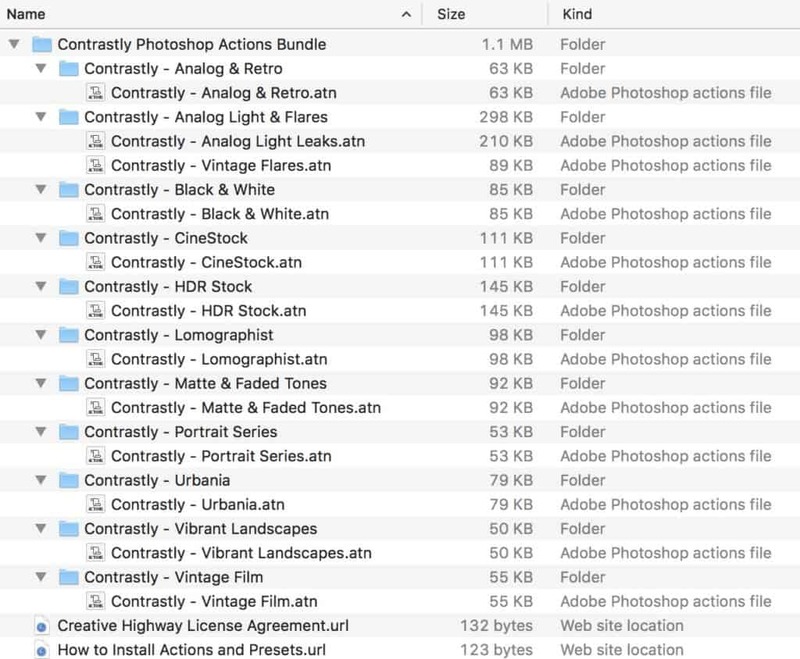 Please note that most actions downloaded/purchased from Creative Highway are compatible with Photoshop CS4 and newer – except where noted – and are not compatible with Photoshop Elements. Once you have purchased your Photoshop actions they will be available for download on your receipt and also in the Downloads section of you My Account page. Most Photoshop actions packs come bundled in a ZIP file. Simply unzip the file and you will then have a folder that contains all the Photoshop actions. Photoshop Actions end in a .atn file extension. Now that you have a folder with the actions on your computer, make sure you move this folder somewhere safe such as your Documents or Downloads folder or another similar folder so that you can re-install them later on if need be. Now simply open Adobe Photoshop and then, once Photoshop is open, double-click on each action file (.atn) and they will appear in the Actions panel in Photoshop. If the Actions panel is not open, click on the “Window” menu and select “Actions” to open up the panel. You’re now ready to use the actions: open up an image in Photoshop, select the action you want to run and then click the play button as the bottom of the actions panel. Once the action is done running, open up the Layers panel and you will see all the rendered groups. You can now toggle them on/off to see the effect. Adobe Lightroom is a very powerful tool, especially when combined with high quality Lightroom Presets. 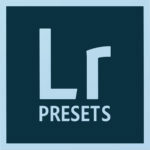 Downloading and installing Lightroom presets is easy – this quick and handy guide will show you how. Please note that the presets downloaded/purchased from Creative Highway are compatible with Lightroom 4, 5, 6, and Classic CC (not compatible with the Lightroom mobile apps), except where noted. If you’re confused about the new Lightroom versions, please watch this video below. The very first step is to download some Lightroom presets. 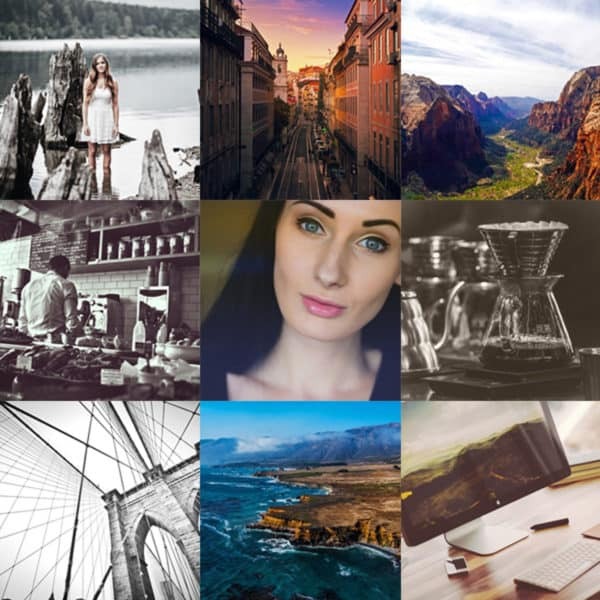 We are a bit partial, but if you are looking for some great presets, please check out our collection from photographers all around the world here. 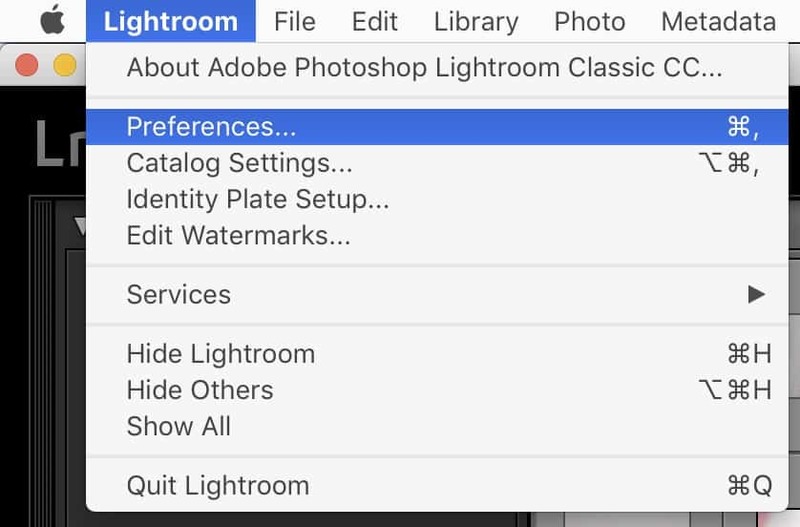 Now that you have a folder with the presets on your computer, open up Lightroom Classic. 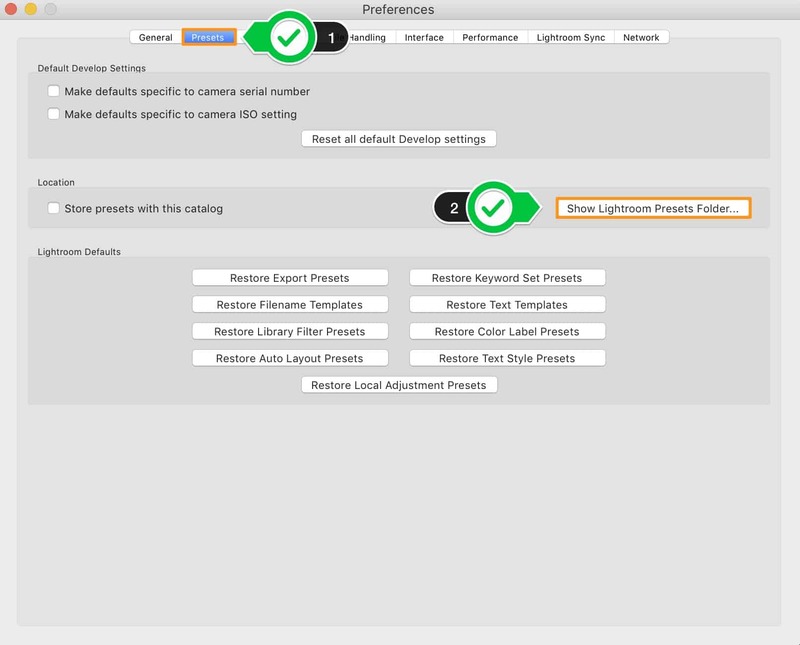 Then, find the Lightroom Menu and select Preferences... to open the Preferences panel. At the top of this window, you should see a few tabs. Click the "Presets tab" [Step 1 in screenshot below]. 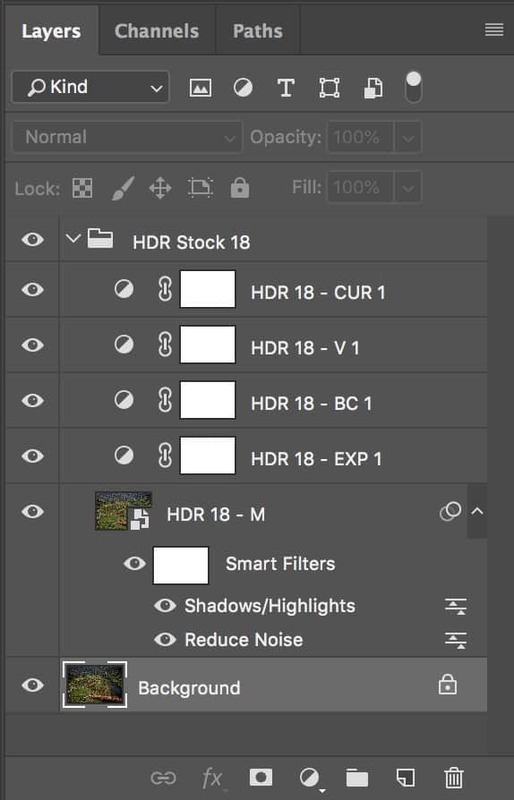 Next, click the "Show Lightroom Presets Folder" button [Step 2 in screenshot above]. This will open up your file browser and highlight your Lightroom Presets folder. Click on the Lightroom Presets folder and then look for a folder inside that called "Develop Presets". This is where you will install your Lightroom Presets, like the ones you purchased or downloaded from the Creative Highway Store. Open this folder. Inside of it you will find a few existing presets as well as any other presets you may have installed already. Now, simply move the presets you have downloaded (the ones from Step 1 of this guide, they should be on your desktop or in your Downloads folder) into the "Develop Presets" folder. Next, simply quit Lightroom and re-open it. You will then see all your new Lightroom presets under the Develop module, in the Presets panel on the left.